Published by Westerners Square and Round Dance Association. 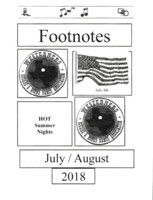 Footnotes, the official newsletter of of the Westerners, was begun in 1949 which was was included in the $1.00 membership of the Westerners. The newsletter contained association clubs listings, special dance announcements, and other information related to square dancing. 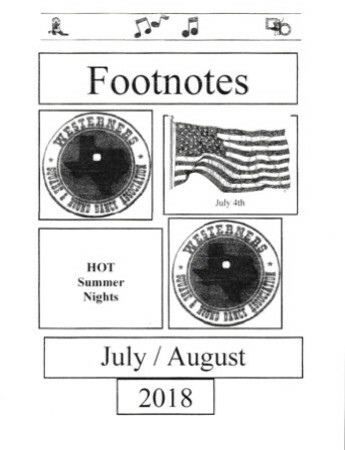 The footnotes is still in publication in a bi-monthly format. Round Dance Glossary, an article.